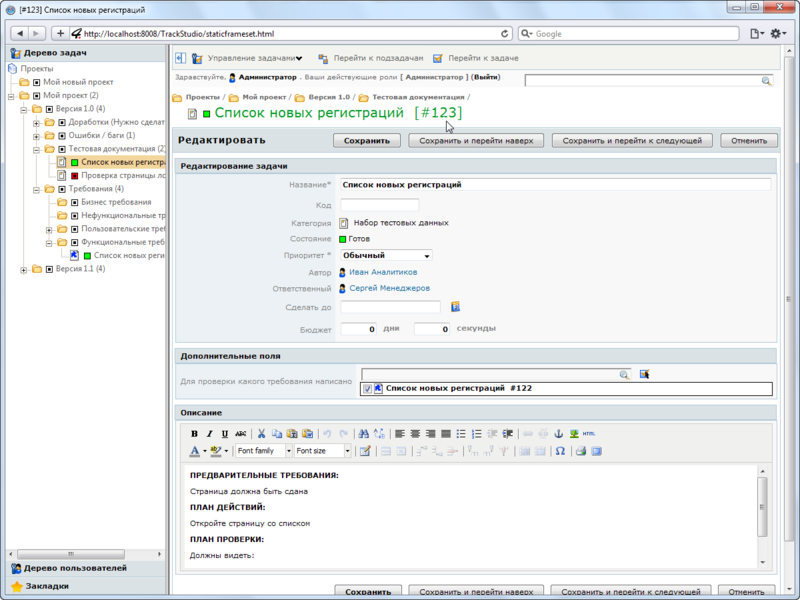 While creating test case, indicate the requirement in the corresponding field. If you need to change this parameter, go to the view of test case, then press Edit and in the respective field indicate the requirement, to which this case corresponds. Save the changes.